Inspired by true events and interspersed with the dark contemporary history of India and Pakistan, Ashok Chopra’s first novel is peopled with remarkably realistic characters who tackle prejudice, prestige, privilege and even prison head-on. He skilfully weaves together five storylines as the friends move in and out of each other’s worlds. The result is a defining voyage through life, one that queries tough choices and the price one is willing to pay for them. It also asks the epic questions: What makes for happiness? Why do people make certain choices and not others? And why do men and women willingly make tremendous sacrifices for those they love? Ashok Chopra has created an authentic, densely peopled universe with a distinctive period charm. 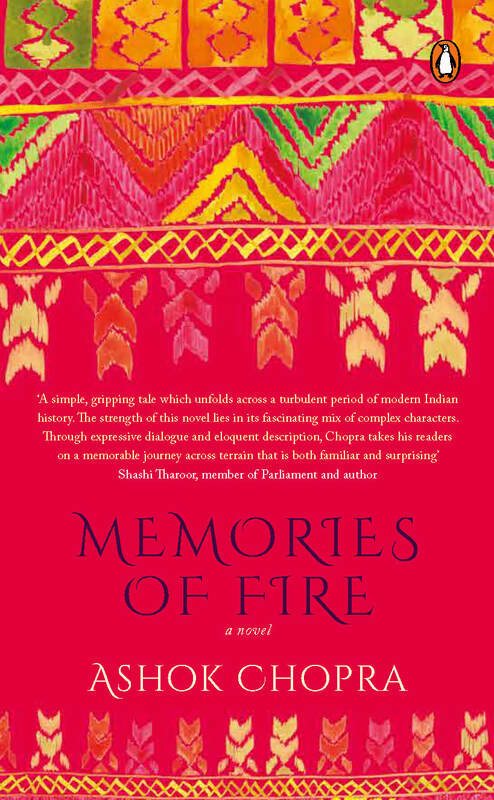 Memories of Fire is a vast, colourful, emotional, political and social journey, with a cast of characters that is interesting, sympathetic and lifelike.